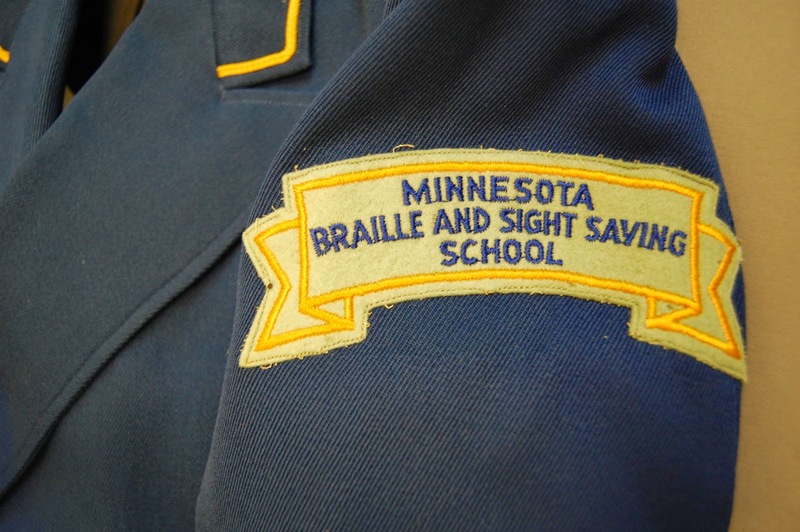 Our artifact this week is a very trim mid-20th century uniform from the Minnesota Braille and Sightsaving School in Faribault, Minnesota. 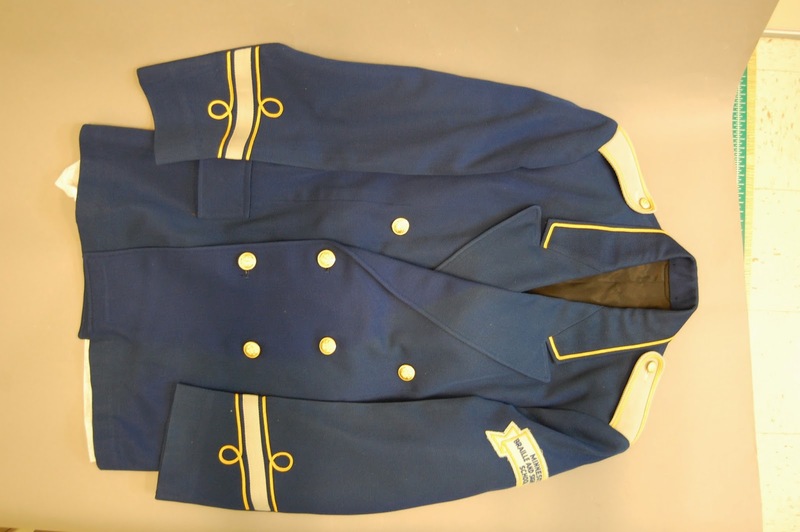 We have very few historic textile items in the collection, so this girl’s band uniform was a real find when it was offered to us in 2013 by the Rice County Historical Society in Faribault. The Society didn’t know much about it, unfortunately, but according to some MBSS band alumni, the uniforms were used by many students over a long period of time. The neat blue wool and polyester blend jacket and skirt had tags inside dated 1957 from the Kansas City firm Stanbury and Company, which by the 1950s specialized in the production of marching band uniforms (and still does!). Today, the marching band at the Ohio State School for the Blind gets a lot of press when it performs “Braille Ohio” at football games, but according to former MBSS student Steve Jacobson, bands were common at residential schools. Band, cheerleading, athletic or scouting uniforms, and other textiles from historic residential schools help us understand daily life at these institutions, but are pretty rare. 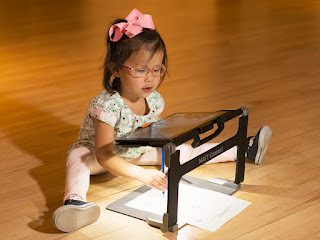 We would love to hear from any school alumni or former faculty who might be saving treasures like this at museum@aph.org.